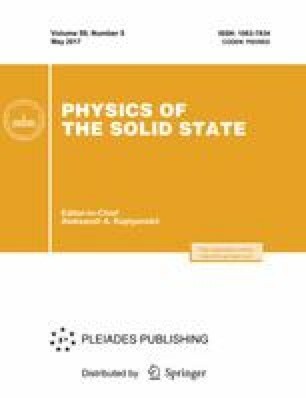 Peculiarities of the magnetization dynamics induced in iron garnet films by laser pulses with a frequency detuning near the absorption edge have been studied experimentally. It has been found that the dependence of the observed signal amplitude on the pumping energy becomes nonmonotonic with an increase in the pumping frequency. At the same time, the pumping energy corresponding to the maximum amplitude of the signal and this maximum signal amplitude decrease. Moreover, the signal amplitude starts to decrease with an increase in the pumping energy at frequencies within the absorption band. The observed phenomena are possibly caused by generation of magnetostatic spin waves and the effect of ultrafast optically induced demagnetization. Original Russian Text © I.V. Savochkin, M.A. Kozhaev, A.I. Chernov, A.N. Kuz’michev, A.K. Zvezdin, V.I. Belotelov, 2017, published in Fizika Tverdogo Tela, 2017, Vol. 59, No. 5, pp. 883–887.